Burlington County Sheriff Jean Stanfield last week urged the Board of Chosen Freeholders to pass a resolution opposing pending legislation known as the “New Jersey Safe and Responsible Driver Act.” If passed, this legislation would allow individuals who are not in the United States legally to obtain New Jersey driver’s licenses. “On November 16th, 2015 the New Jersey General Assembly Homeland Security Committee advanced legislation that would permit immigrants who are not in the United States legally to obtain New Jersey driver’s licenses. As Sheriff, I have real concerns that this legislation, titled by its sponsors as the ‘New Jersey Safe and Responsible Driver Act’, is neither safe nor responsible. A driver’s license is the single most important piece of homeland security identification. In this environment providing driver’s licenses to undocumented individuals is not only irresponsible, it is dangerous. Anyone with a New Jersey Driver’s License is familiar with the rigorous identification process all legal residents are subject to, requiring six-points of documentation. Allowing individuals who are here illegally to obtain driver’s licenses without identifying documentation creates a reckless double standard. The reality is that providing such driver’s licenses would make it easier for individuals to violate the law as a license can be used to board a plane, buy a gun, open a bank account, falsify an identity, or in any number of other important activities. Finally this proposed legislation presents significant public safety concerns at a time when law enforcement is stepping up its efforts to ensure the safety of our residents and expand our emergency readiness capabilities. These concerns are particularly critical given the existence of the Joint Base McGuire-Dix-Lakehurst and important defense industry organizations like Lockheed Martin within Burlington County. 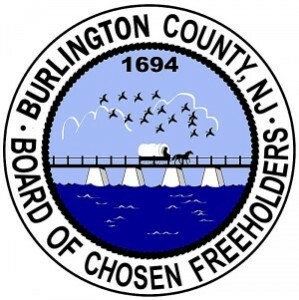 The Burlington County Board of Chosen Freeholders, at their public meeting of Wednesday December 9, approved a resolution urging the New Jersey state legislature and governor Christie to reject this proposed legislation.